While electronic cigarettes (e-cigarettes or e-cigs) have not yet been linked to lung cancer, new evidence suggests they are far from benign. Despite being marketed as the a�?safea�� alternative to traditional cigarettes, we explore the question- just how safe are they? The debate between e-cigs and traditional cigarettes has been going on for some time now, and many people seriously believe that e-cigs do more harm than good. Some have even claimed that e-cigs are worse than traditional cigarettes! E-cigs are pretty self-explanatory. They run on batteries, and have the exact shape as traditional cigarettes but dona��t contain any tobacco in them. Smokers generally smoke traditional cigarettes to get nicotine, which is commonly found in tobacco. However, there is no tobacco in e-cigs, but rather a liquid cartridge that contains nicotine. This cartridge is heated until it turns into vapor, which is then inhaled by the smoker. Many smokers prefer them because they can be smoked in places where traditional cigarettes are banned. The main difference between e-cigs and traditional cigarettes is that there is no tobacco in e-cigs. However, tobacco isna��t the only thing in cigarettes that causes cancer, there are lots of chemicals, which cause harm, and e-cigs have the same chemicals in them. Yes, the FDA has found toxic chemicals and carcinogens in e-cigs. Ita��s a fact. Other studies have also found that electronic cigarettes contain formaldehyde (used in making building materials and household products, fixing cell tissue, and embalming to preserve human and animal remains), which is known to cause cancer. Traditional cigarettes contain certain chemicals that lead to long-lasting inflammation and chronic diseases such as heart disease, emphysema, and bronchitis. E-cigs also contain the same toxic chemicals, which means that they will have the same risks to these chronic diseases as well. Currently, there is no independent study that can accurately claim that e-cigs vapor is less harmful than the smoke from traditional cigarettes. It has been less than a decade, since e-cigs came into the market, which is why it is difficult to predict whether it can reduce a persona��s risk of cancer. It takes cancer years to fully develop; therefore, one cana��t make that assumption about e-cigs, until it has been around for another decade or two. Can E-Cigs help you cut down or quit smoking traditional cigarettes? When a company claims that they have a product that can treat an addiction or a disease, they will have to provide proven studies to the FDA to show the effectiveness and safety of its product. When it comes to e-cigs there are no proven studies that show whether they can be used to help cut down or quit smoking traditional cigarettes. The vast majority of studies that have been conducted, were either short term, or didna��t include any authentic practices to quit smoking. For instance, a study conducted in 4 countries showed that e-cig smokers were not more likely to quit smoking than traditional smokers, even though 85% of those smokers claimed that they were smoking e-cigs to quit smoking, but a year down the line; they are regularly smoking traditional cigarettes or e-cigs! What are the regulations for E-Cigs? When President Obama signed the Family Smoking Prevention and Tobacco Control Act in 2009, it gave the FDA the power to regulate the marketing, distribution, labeling, and manufacturing of all tobacco products. E-cigs were being regulated as tobacco products in 2010 after a court gave the FDA permission. However, in 2016 the FDA has announced a new rule to regulate the sale of e-cigarettes. This rule states that the sale of e-cigs will be banned to anyone under 18 years old. 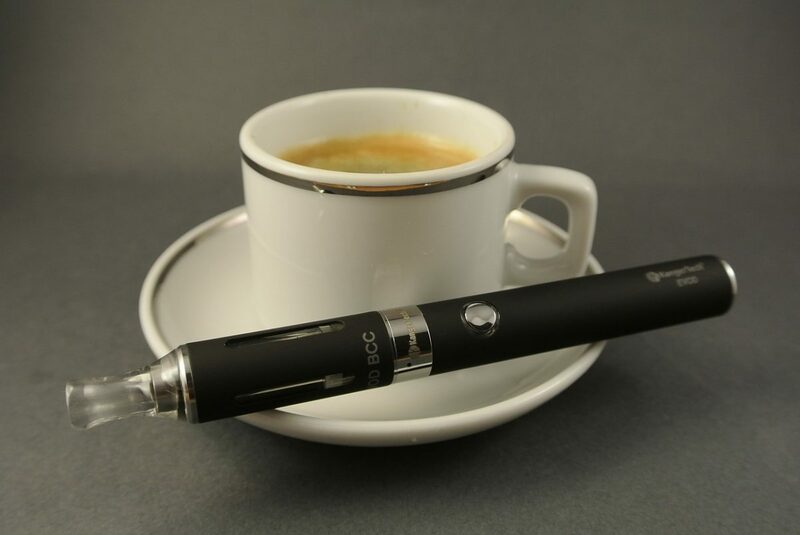 The new regulations also require e-cig manufacturers to go through a a�?premarket reviewa��, which is the process used by the FDA to find out whether a product is risky or safe. A few things we do know for sure about e-cigs is that the percentage of e-cig smokers amongst teenagers has quadrupled, jumping from 5% in 2011 to 20% in 2016. According to the National Youth Tobacco Survey, nearly 3 million middle school and high school students in the U.S. have tried e-cigs. Two reasons for this include that many youth believe it is the cool thing to do, but sadly are dramatically increasing their chances of smoking becoming a habit, and e-cig companies market candy-like flavors and advertising campaigns geared toward attracting teenagers. E-cigs also harm children that are too young to smoke, since the liquid in the e-cigs is concentrated. Accidental swallowing or absorbing it through the skin is very dangerous for young kids. E-cigs have been around less than a decade, so it can be difficult to confirm the potential harms they may cause users. However, a lot of people are still under the impression that e-cigs are completely safe or can be used effectively to quit smoking. Both assumptions are yet to be proven scientifically, and studies have already shown that e-cigs contain the same harmful toxins that are found in traditional cigarettes. So, the only advice we would give you is to wait until there is more reliable information available regarding the safety and effectiveness of e-cigs. For the best chances of protecting yourself against lung cancer, we recommend not smoking or to quit.